The Rev. Franklin Graham has spoken out against Orlando International Airport's recent unveiling of plans to create a new Muslim prayer room that will cost $250,000 in taxpayer dollars, and asked how loud would objections be if the money were allocated to build a prayer room for Evangelical Christians, or other groups. 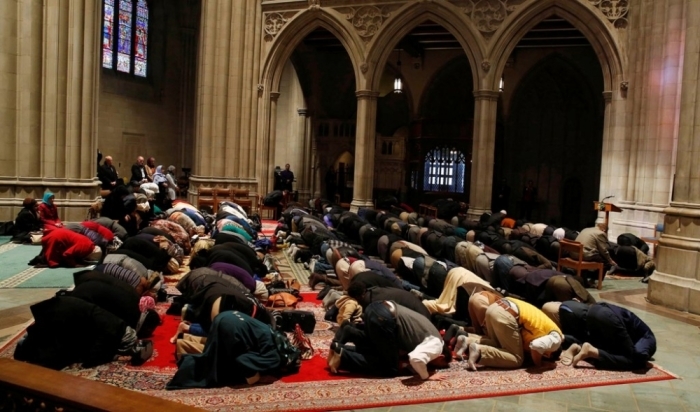 "Let's call this what it is — a mosque. The airport already had an interfaith prayer room since 1983 (with prayer rugs available in it) — but that wasn't enough. How loud do you think the objections would be today if they spent $250,000 in taxpayer money to build a new prayer room exclusively for Evangelical Christians? Or for Jews or Mormons or any other group? Why do Muslims get preference?" Graham asked in a Facebook post on Saturday. News 13 reported earlier this month that the prayer room is set to open on Sept. 1. The decision to build a new "Reflection Room" to Terminal B at the Orlando airport was made after Emirates Airlines announced it's adding non-stop flights from Orlando to Dubai, which would mean an increase of passengers from the Middle East. "These rooms provide travelers an opportunity to pray in their own way and have peace before they take on a long flight," explained Imam Muhammad Musri, president of the Islamic Society of Central Florida. Carolyn Fennell, airport director of public affairs, said that the room will be open to international travelers regardless of their faith, but will keep in mind Muslim practices. "So they aren't having to, if it is the case, kneel on bathroom floors or in corners so they have the reflective time," Fennell said. Graham has been outspoken on Muslim issues in America, though his July comments that Muslims from should be banned from immigrating to the U.S. caused some push-back from other Evangelicals. "We should stop all immigration of Muslims to the U.S. until this threat with Islam has been settled. Every Muslim that comes into this country has the potential to be radicalized — and they do their killing to honor their religion and Muhammad," Graham said following the fatal shooting of four Marines in July at two military facilities in Chattanooga, carried out by a Kuwaiti-born Tennessee resident. "During World War II, we didn't allow Japanese to immigrate to America, nor did we allow Germans. Why are we allowing Muslims now? Do you agree? Let your congressman know that we've got to put a stop to this and close the flood gates. Pray for the men and women who serve this nation in uniform, that God would protect them," he added. "Yesterday Franklin Graham said really awful things about Muslims. If he knew the Muslim men and women I know, he would NEVER say such things." "This is Christian witness?" asked Helen Lee, associate editor at InterVarsity Press.